Near the farm there are several protected areas that allow you to come into direct contact with nature, history and culture of the area. Just a couple of kilometers from the Antichi Palmenti farmhouse, the Rimigliano Natural Park extends. It is a coastal park that occupies a long strip of land parallel to the beach and the sea. Here you can admire the original environment of the Tuscan coast, before human activity had the upper hand. There are characteristic sand dunes covered with Mediterranean vegetation. It is a wild and uncontaminated place where you can appreciate nature, lie in the sun and swim in crystal clear waters. 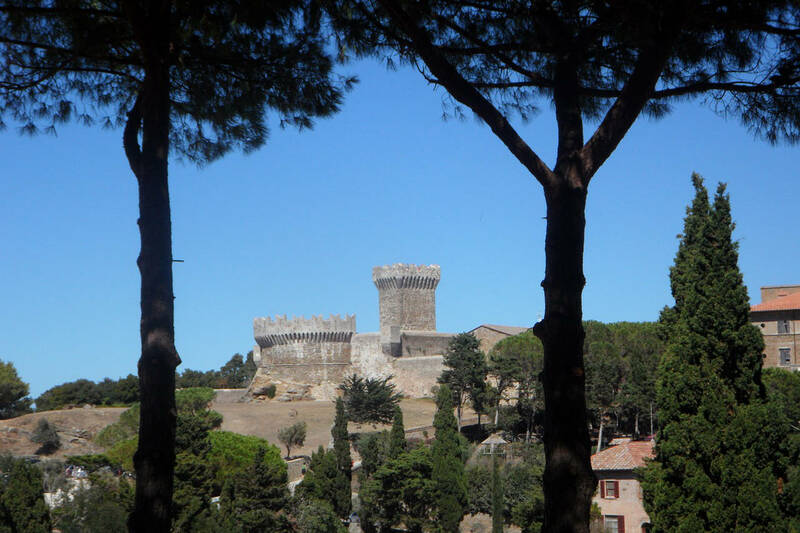 The Campiglia Marittima Archeominerary Park, with the Rocca di S. Silvestro, is an attraction not to be missed. It is the best representation of local history related to mining activity. Visitors can access the old tunnels excavated by miners and see for themselves the tools that were used to extract the mineral from the rock. The tour takes place on a small train that travels on the rails once used to transport the rock from one side of the mine to another. On the coast a few minutes from the farm is the Archaeological Park of Baratti and Populonia. Once you have crossed the park entrance, visitors are free to move along an extraordinary path that leads to the discovery of Etruscan tombs, temples and ancient villages. This archaeological site extends from the Gulf of Baratti to the ancient village of Populonia where the medieval castle is located.